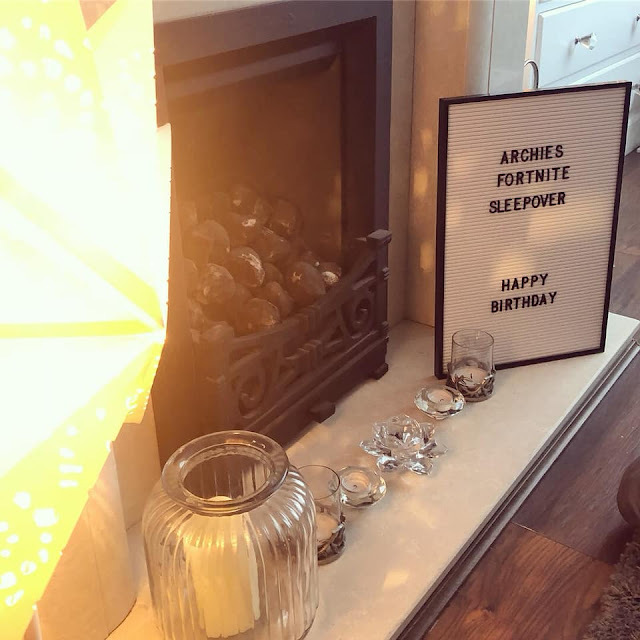 I'd go as far to say its like a hobby and I relish any occasion to indulge the kids, but now the boys are at school I've started working full time and recently moved so I just didn't have as much time to plan for Archie's birthday this year. 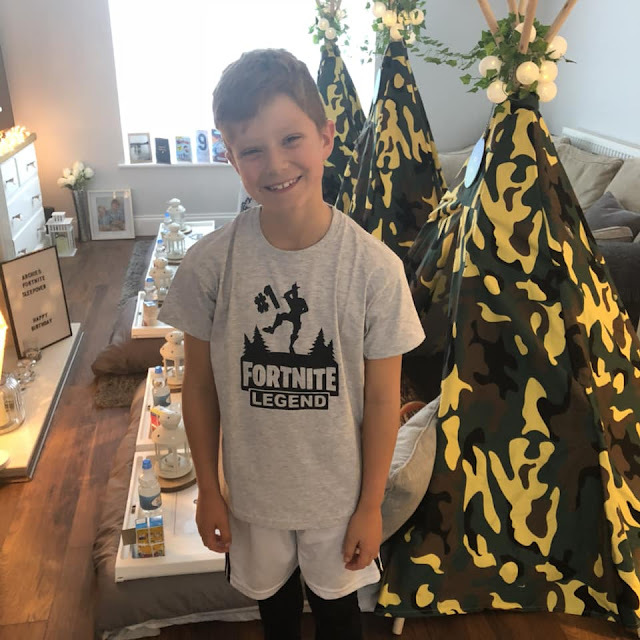 To be honest he didn't even want a party now he's an ancient 9! but just asked for a few mates to sleep over. I was telling my friend and she put me on to Daisy Blu Parties One look at their site and I knew I needed their help for my my Fortnite mad boy. Of subject, if you don't know what this "free game" Fortnite is...Run. Run now and don't ask any questions. Lucky escape. If you've ever had a sleepover the nightmare, apart from you wont actually sleep.at all. Is where will everyone go to bed, but in Daisy Blu's own words. 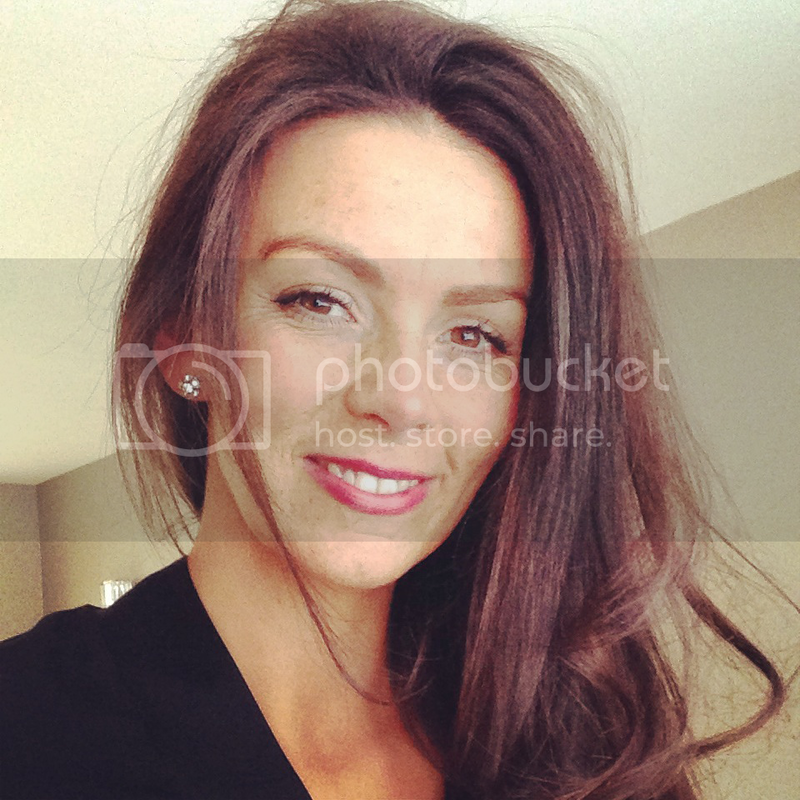 Let Daisy Blu create the ultimate sleepover experience in the comfort of your own home. Our party hire packages include everything you need to take the stress out of hosting a sleepover party. We offer a wide range of themes and decorations providing an enchanting atmosphere with both luxury and comfort in mind. Perfect. So I gave Kate and Vicky a call and they couldn't have been more helpful. They have loads of theme's from Unicorn to Mermaid's and Fortnite to Football to name a few. 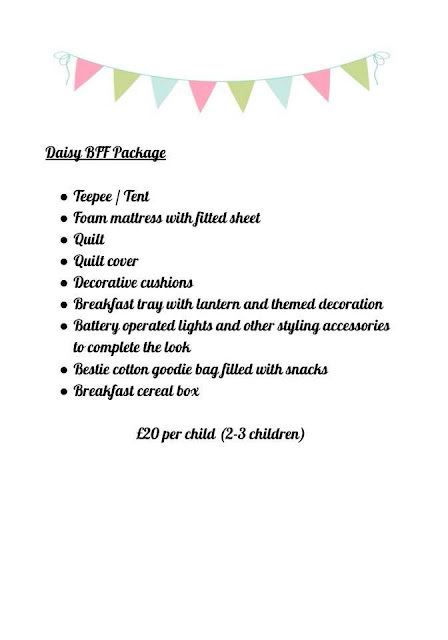 The standard package starts at £20 and includes below. 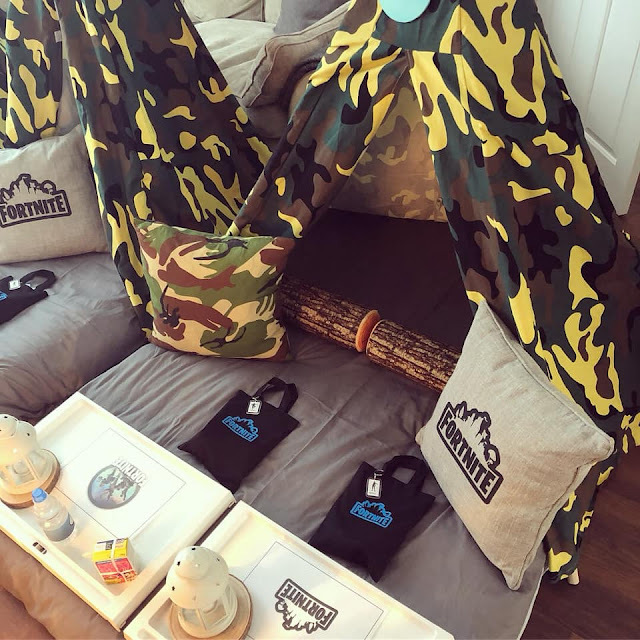 There are different types of packages and extras which I highly recommend upgrading as it made the sleepover just that bit more special and the boys LOVED them all. 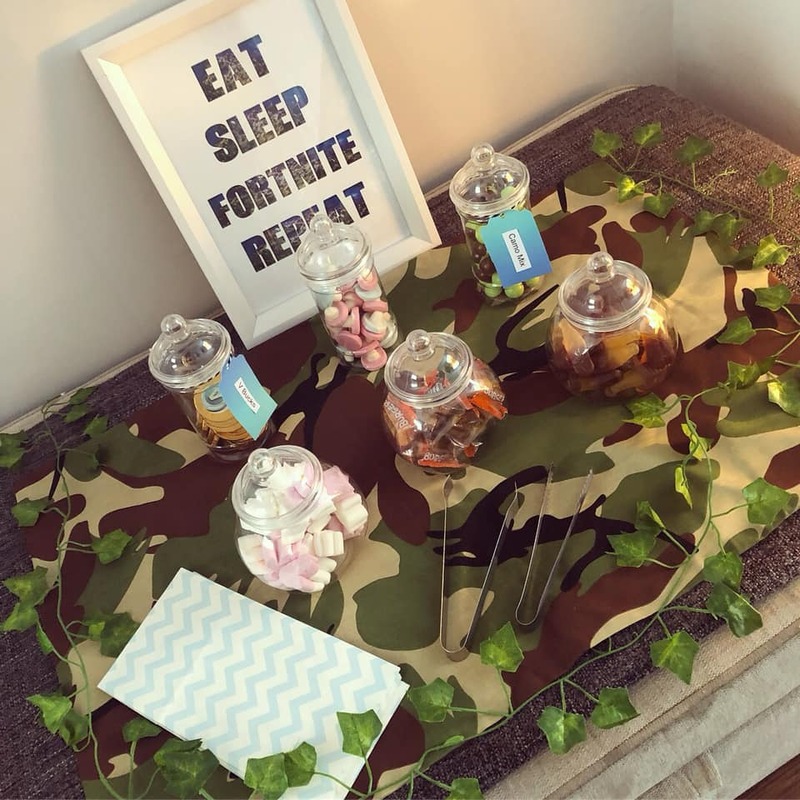 Especially the sleep masks, Fortnite goodie bags and the tuck shop! 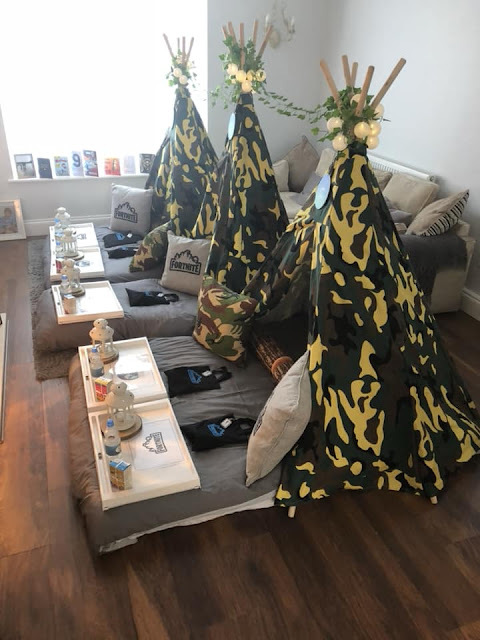 I was a little concerned that my living room might not be big enough but the girls were so helpful, sending me measurements and advice, there was actually plenty of room in the end though. The girls turn up no latter than an hour before the party, it can be tailored to you where they can, as I say they couldn't have been more accommodating! 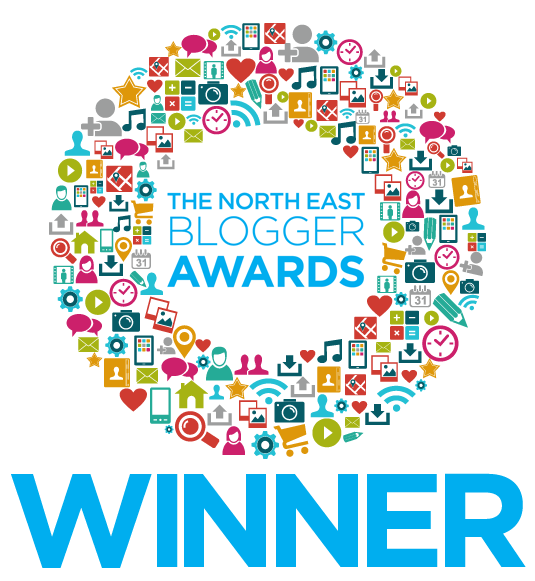 They turn up like an organised whirlwind of boxes and set up. 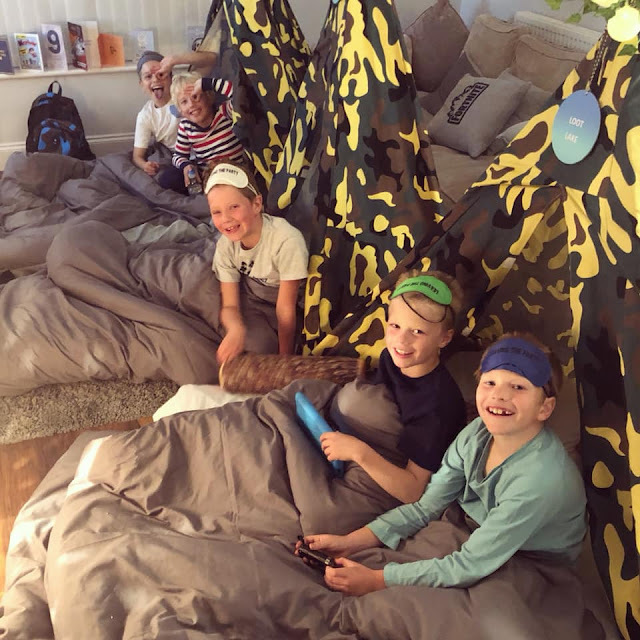 Within minutes they transformed the living room into an awesome sleepover palace. I actually got a shock when I walked in it looked so incredible and that it all fit...just look how happy the birthday boy is. 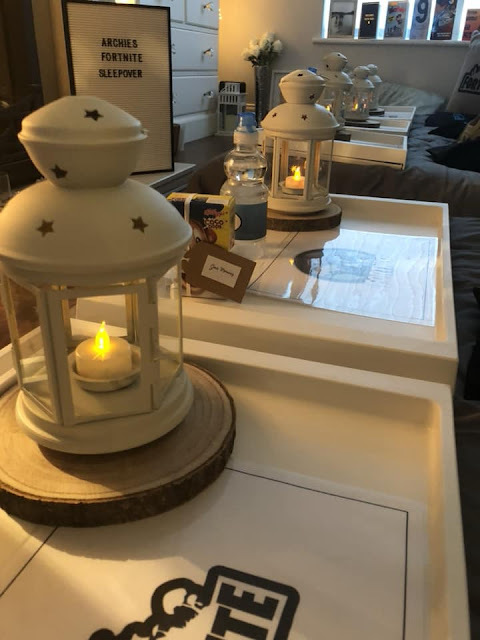 When the guests turned up each one was blown away and have since said "It was the best party they have ever been to!" ...so you cant get much better than that. 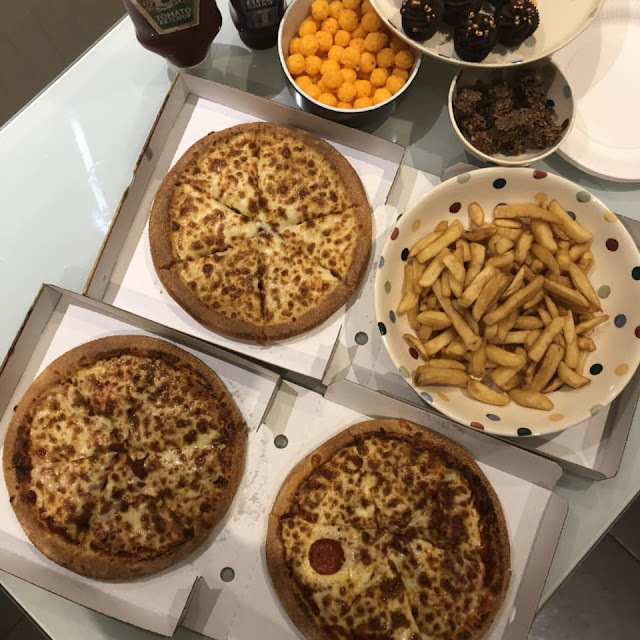 I had in addition ordered some pizzas and tried to wear them out with games of football and of course FORTNITE ....I can't say anyone got much sleep though! But they were all so excited, I couldn't tell them off. 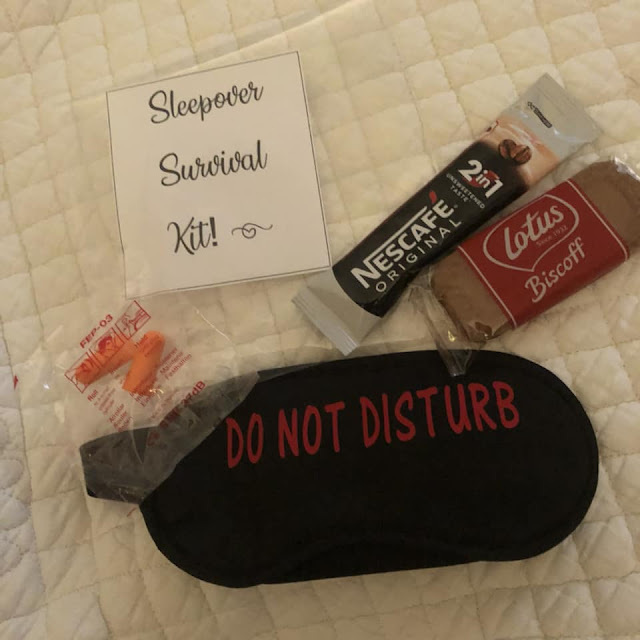 I was given my very own sleepover survival kit from Daisy Blu which I loved and the ear plugs were actually a god send. I gave up at 1am and went to bed myself. 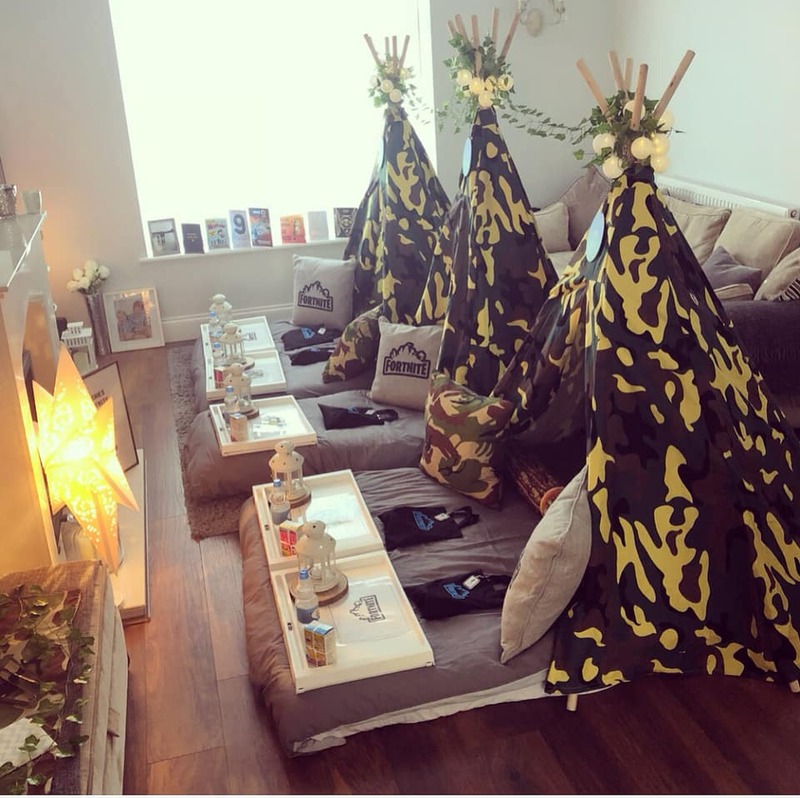 I think the giggles died down around then as I found 5 boys DEAD to the world in their cosy tipee's in the morning. The whole thing was a huge success and I couldn't recommend the service more it also actually saved a fortune on the soft play type party's of the past and not to mention my time as I didn't lift a finger - contact the ladies below. OMG how incredible are these guys! Wondering if it'd be weird to book one for adults cos I want a mermaid sleepover so badly!